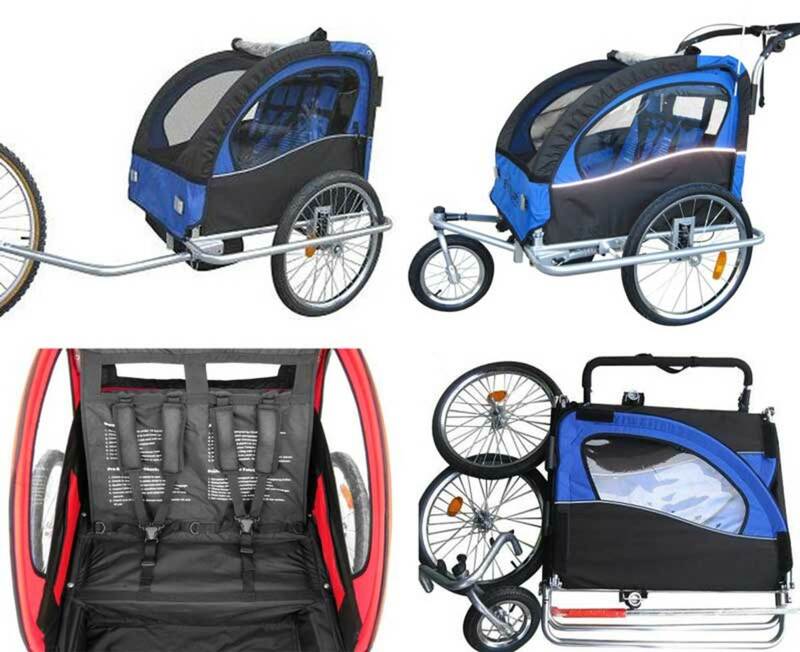 A baby bike trailer offers a genuine thrill that never seems to fade. I have seen even tiny children jump for joy at the thought of a ride to the supermarket. Promise them a ride to a park with ducks and they will explode with excitement! 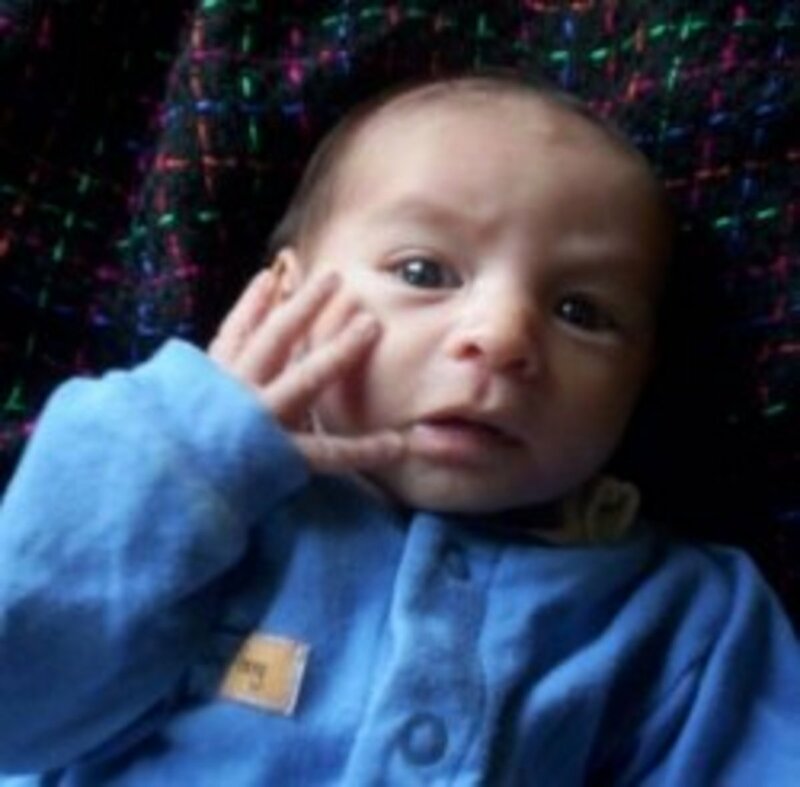 Babies seem to love the motion and rarely cry. If your baby needs a lot of eye contact and reassurance, though, it might be worth thinking about a side-mounted trailer or delaying your purchase until the child is older. Looks like good place for a nap. Well, it helps if you have a good sunny climate and it helps if you live in a place without too many hills. On the other hand, if you are a regular cyclist, these trailers don't add much to the effort of any normal ride. They are very lightweight and well designed. Also, whenever a baby is in back you will probably find you just want to go gently to enjoy the experience more. Hitching and unhitching is a breeze and if you have a double trailer and just one child, you get some useful extra space for the groceries or anything else. Just don't be surprised if unguarded cookies get eaten on the longer journeys. Is a Kid's Bike Trailer Safe? I have seen people riding through heavy city traffic with child trailers. Personally, I would avoid the rush hour and find routes with bike lanes in busy areas. In small towns and out in the country they are perfect. They are certainly safer than kids bike seats, especially the kind that goes on the handle bar. Accidents can easily happen before you even set off- letting the bike slip can mean a serious fall for a baby. If you fall off a bike with a trailer, it should stay upright unless you are travelling very fast. The connecting bar between the trailer and the bike pivots. This means that if the bike does fall over, the trailer will not twist round. The trailer is also very low so there is almost no distance for a child to fall. How Old Should the Passengers Be? 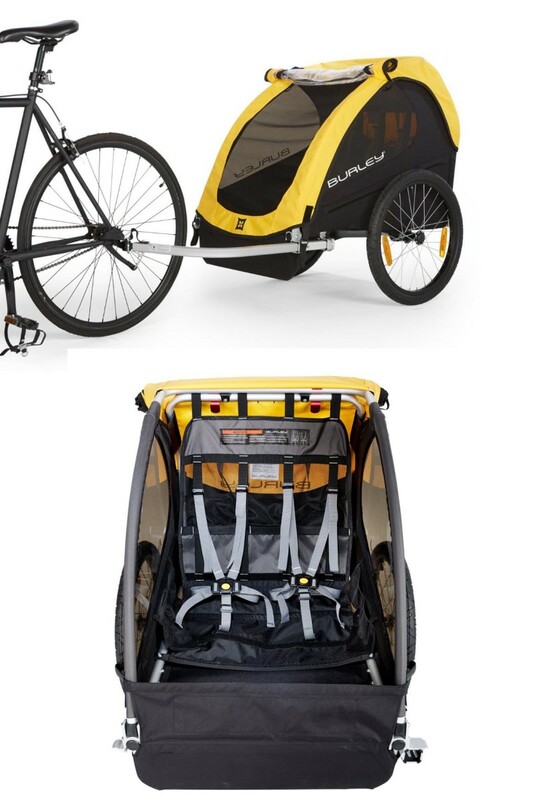 Twelves months is reckoned to be the youngest age that is safe for bike trailer travel. If you are using the trailer as a stroller, the baby should be able to sit up securely, unattended. This usually happens by the sixth month. Can they be Used for Anything Else besides taking Baby? It is amazing what people transport in a baby bike trailer. Dogs, cats, spare parts for tractors or sailboats and, of course, a full weeks supply of food- regularly. One of my neighbor's kids used her old baby trailer to take all her belongings to school. Yes, it lasted that long. Most trailers will double as strollers. Some can even have skis as an optional extra! The Burley Bee folds down for storage or transportation. Will it also work as a stroller? This option can double the price of a trailer but is incredibly useful. Do you want a single or a double trailer? Are you going to add to your family soon? 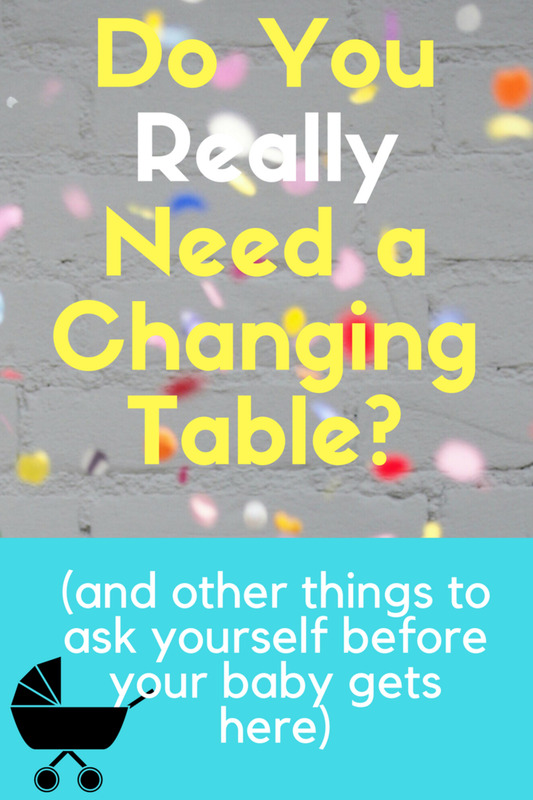 Do you want space to carry other stuff? Is it important that the trailer folds for easy storage or to carry in a car? Easy step in and out? Robust bumpers? These can make access less convenient but are good for extra protection. Attachment points for a baby supporter? if you choose a double-sized trailer, does it have two individual seats so that children do not get squashed together in the middle? Does it have 5 point harness for older children? Five point harnesses are the most comfortable and secure harnesses around. Are there padded seats and backrests? Are they removable for easy cleaning? Does the trailer offer complete weather protection? In a wet climate this must be a priority for everyday users. Are there vents or mesh to prevent condensation on rainy days? Burley is one of the biggest names in kids bike trailers and there are plenty of models to choose from. The original Burly Bee is still a very popular choice at around $300 dollars. The fully-featured, Burley Solo, weighs in at $600. The original Burly Bee is a tough trailer with two seats, tinted windows and ventilation at the rear. It will not convert to a stroller and it does not have the adjustable suspension that later models boast. On the other hand, it comes absolutely ready to use with all the necessary hookups to get you on the road. The solo is an exceptionally roomy single seat trailer with adjustable suspension for different loads and road conditions. Expect to pay around $600 for all that adaptability. Around $90, online, for a single-seater. 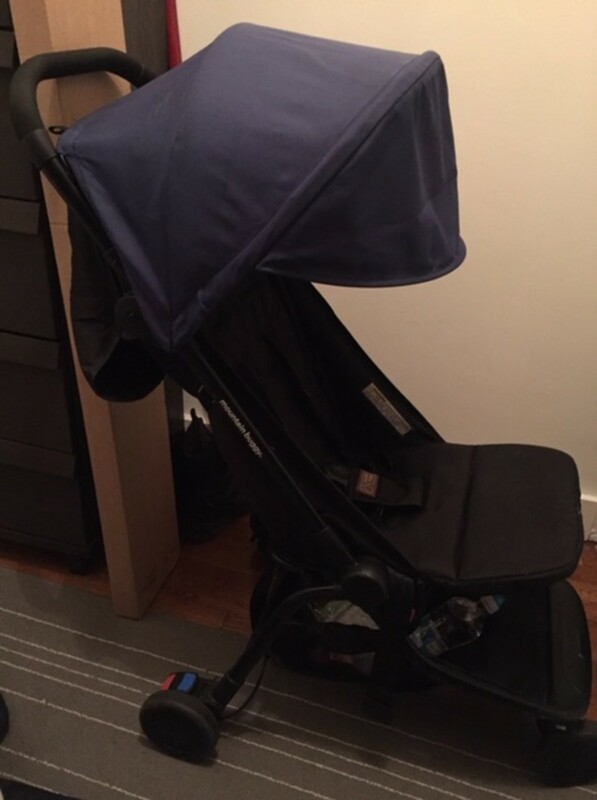 The Synch model has plenty of room for one small child (for children over three years, space can be tight) plus a small amount of space behind the seat for a baby bottle or diapers. 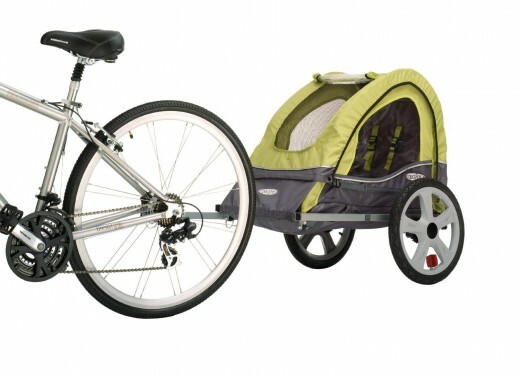 Children seem happy to be carried along in one of these and the cornering is comfortable for the rider too. You need to buy a stroller kit separately to add this model. The 'Quick N EZ Bicycle Trailer'. 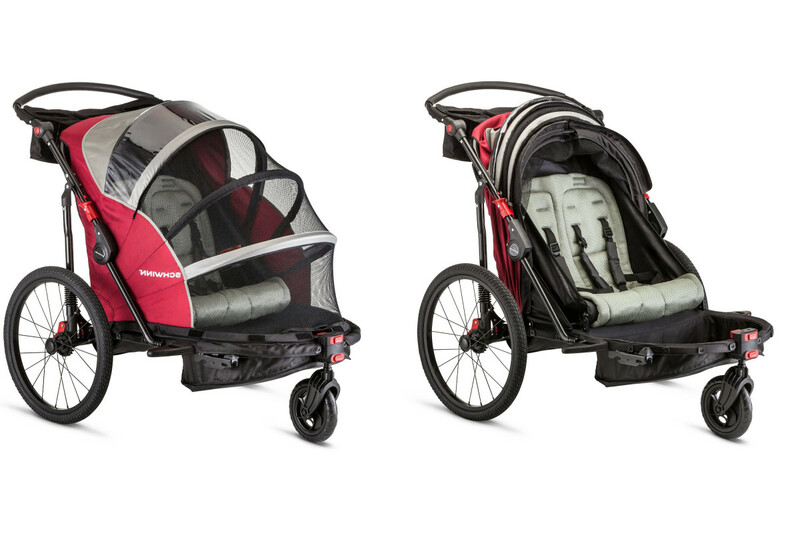 from Instep, is a larger version, with stroller modification already included. The seat might be a squeeze for two bigger toddlers but the extra room is always welcome for toys, bags and things like picnic items. This is one of the most widely used models in the US. 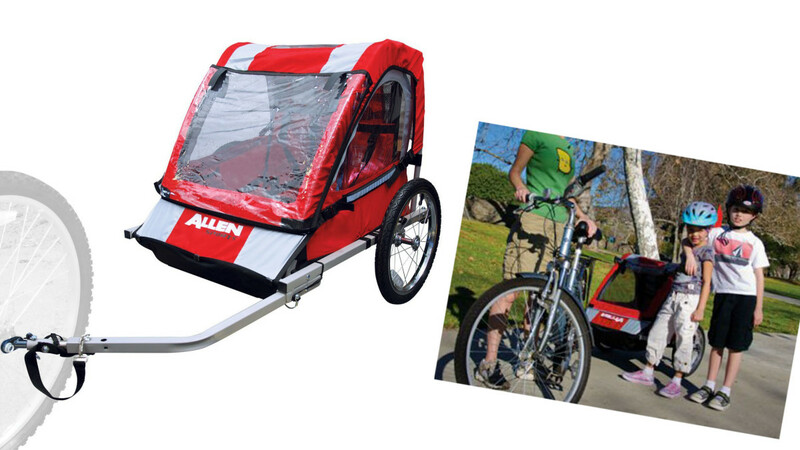 The more expensive InStep Rocket Aluminum Bike Trailer has twenty-inch wheels for smoother, quieter rides at speed. It also has outrider guards and is a popular mid-price choice. Allen make a variety of trailers. Most are constructed from steel which makes them stronger and less expensive then aluminum alloy rivals. The downside is weight. The double trailer pictured above is around 26 lbs as compared to the Burley Bee's 19.95 pounds. This model does not convert to a stroller but is good value at $99. 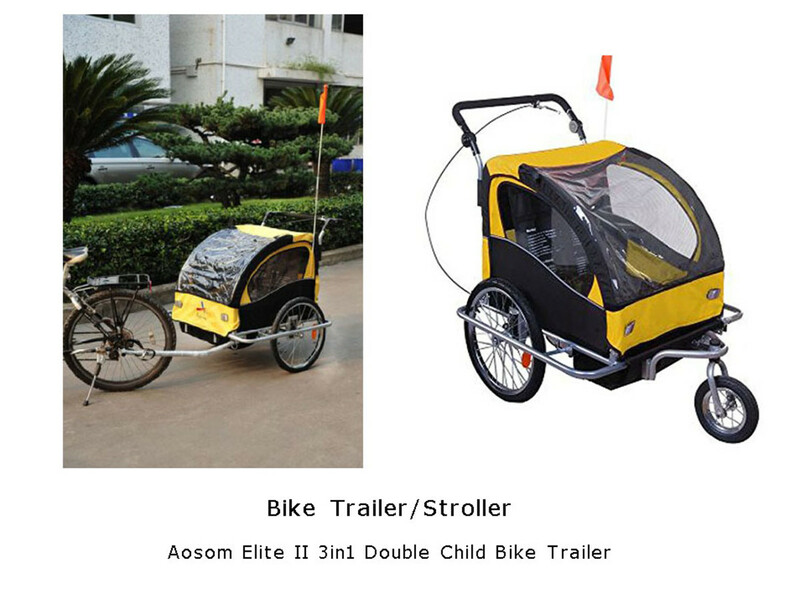 The Aosom Elite is one of the least expensive trailers (around $160) that will also work as a stroller or jogger. The jogger experience is not the best feature but it is a practical to take children into town and take them around comfortably as you shop. The front wheel is fully independent and swivels for easy steering, There is brake and adjustable handlebars for comfort. The maximum load is a little less than most comparable models at 88 lbs. This is another bike trailer with two individual seats, and, just as importantly, individual seat-belts. 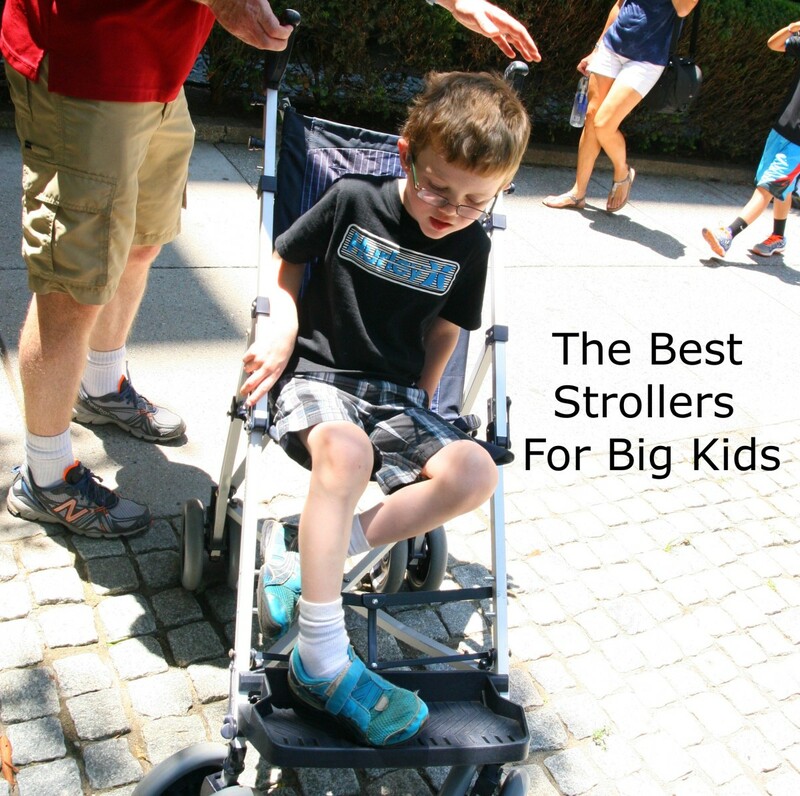 It also makes a stylish stroller and a great place for a tired child to sleep! Probably the biggest plus with this model, though, is the amount of storage. There is space behind the seat and in a pouch at the back of the trailer. 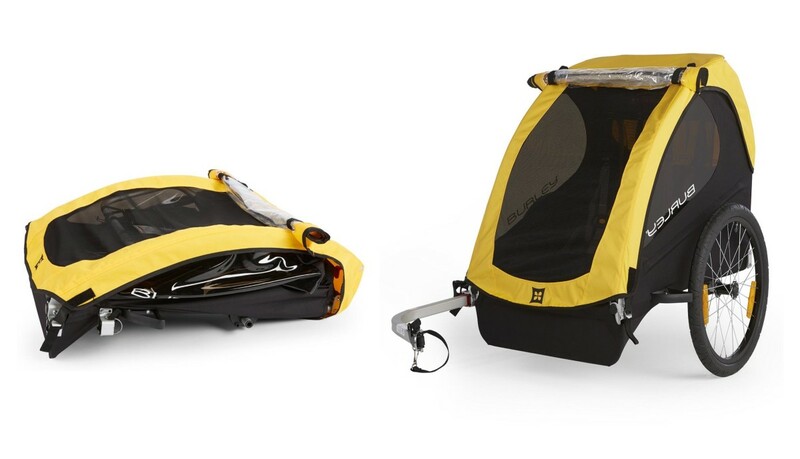 Thule carriers are the Rolls Royces of the bicycle trailer world. 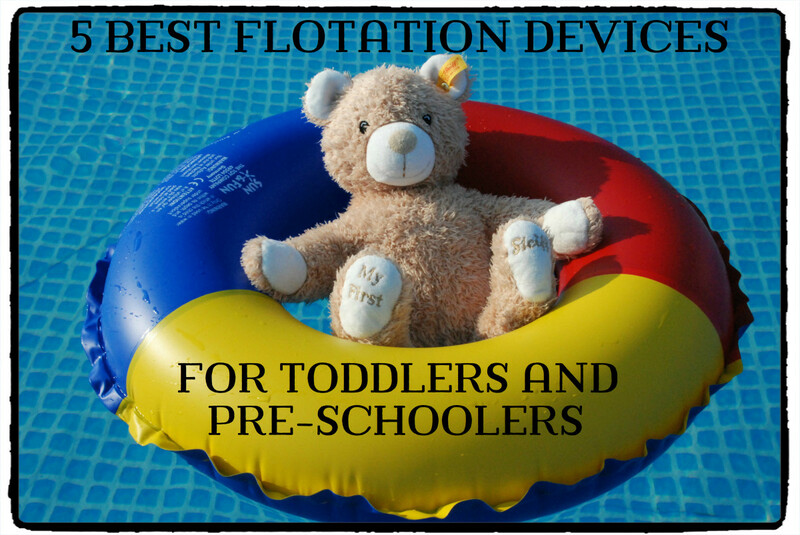 They are more expensive than other comparable makes but they offer a lot for the extra money. The basic models are sturdy buggies with weather protection. You then choose the conversion kit (or kits) that you want. The bike trailer kit is just one option. Things you can Add to a Thule Chariot Chassis! You can expect to pay around $500 for a single-seater chassis and around $900 for a two-seater. The conversion kits start at around $60. All models come with a lifetime warranty. You can also expect rear brakes and parking brakes. They are manufactured in the US. 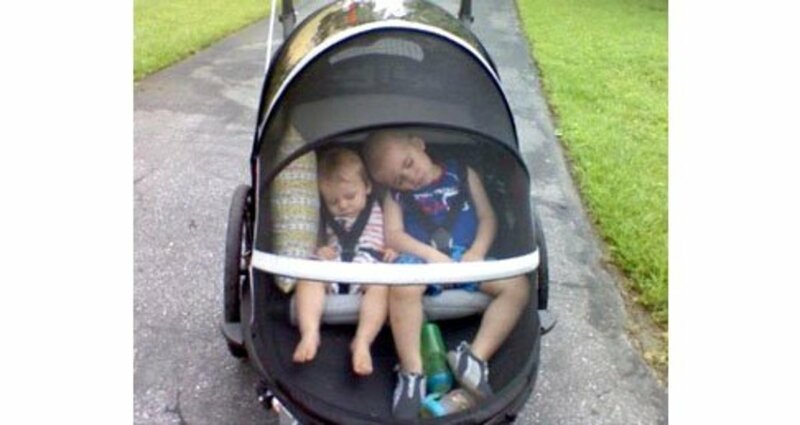 The very practical and feature-rich Booyah "Swivel"
If you want a two-child trailer that can work as a stroller, the Booyah Swivel comes at a reasonable price with plenty of features. 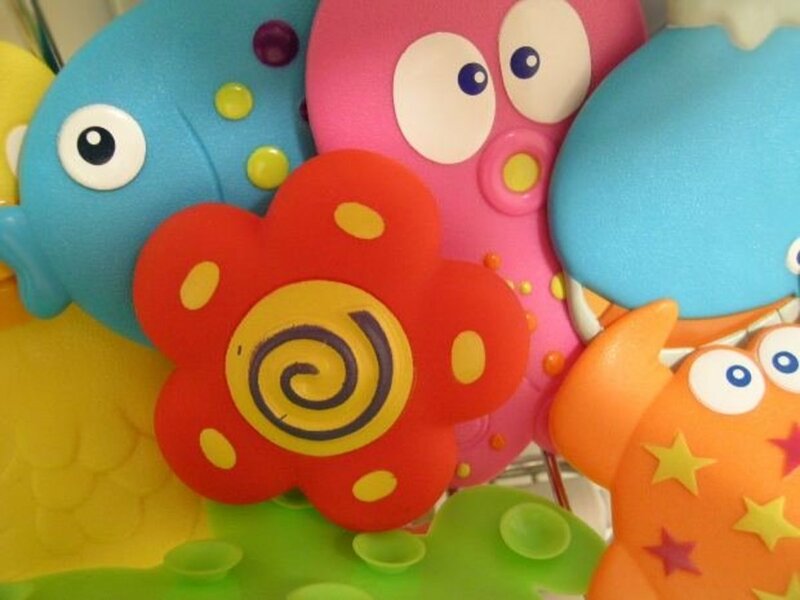 The stroller comes with a generous sized organiser for toys, drinks, snacks and shopping. The trailer is robust, with a tough spring suspension, large wheels and a connector that means the bike pull the trailer without any off-center awkwardness. 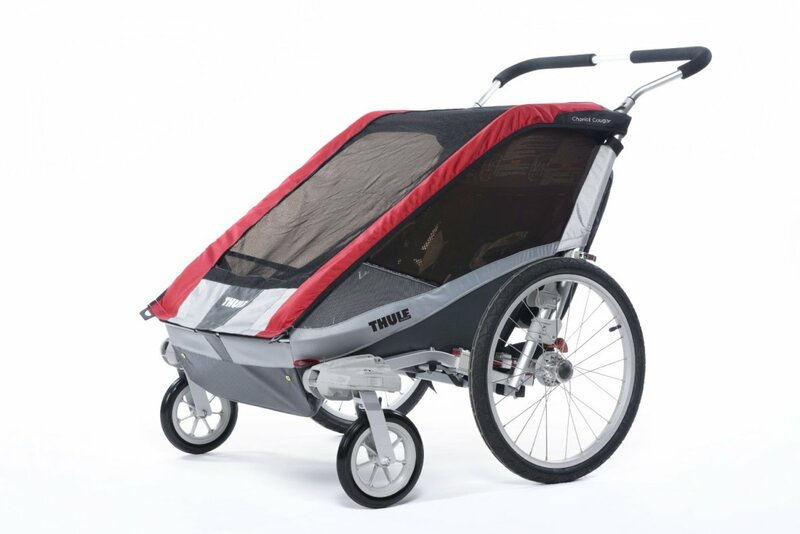 It is made of steel which means greater weight than aluminum rivals and potential rust problems down the road but the toughness, features and price make it a potentially attractive alternative to the Chariot Stroller/Trailer above. If your child is four years old, or above, a trailer/trainer like the Weehoo iGo (shown above) is fast and allows more participation from the passenger. Young legs can get some exercise as they pedal, too. Obviously, weather is more of an issue without the protection of a little cabin and you will have less room for shopping. These trailers are fast, though, and great fun for trips to parks and woods. A child can see everything that is happening and you will not miss the extra width of a conventional baby trailer, either. 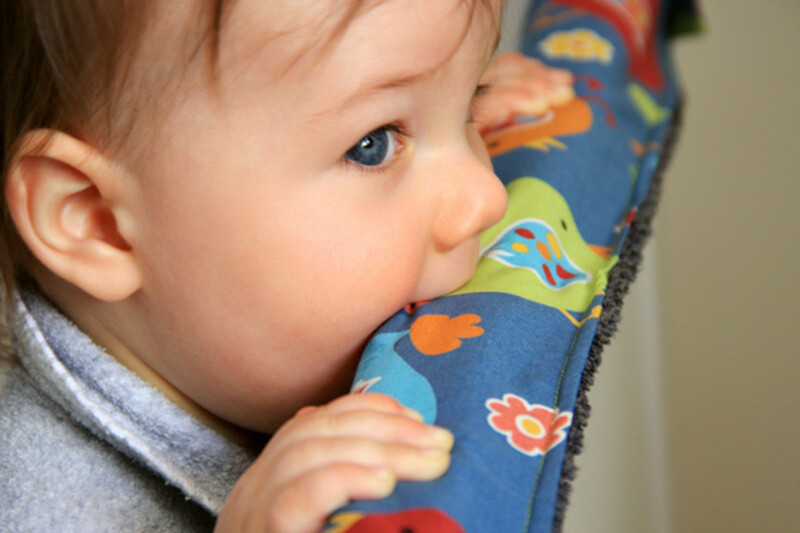 Babies need to be in a supporter firmly attached to the anchor points provided.There is a video of how to install one in a 'Chariot' down the page. Toddlers should always wear helmets and some states require this by law. 'Aero' style helmets with back projections can hurt a child's neck and should definitely be avoided. Heavy helmets can also injure very young children. Cushions to support a child's head are advisable. Safety belts should always be worn. 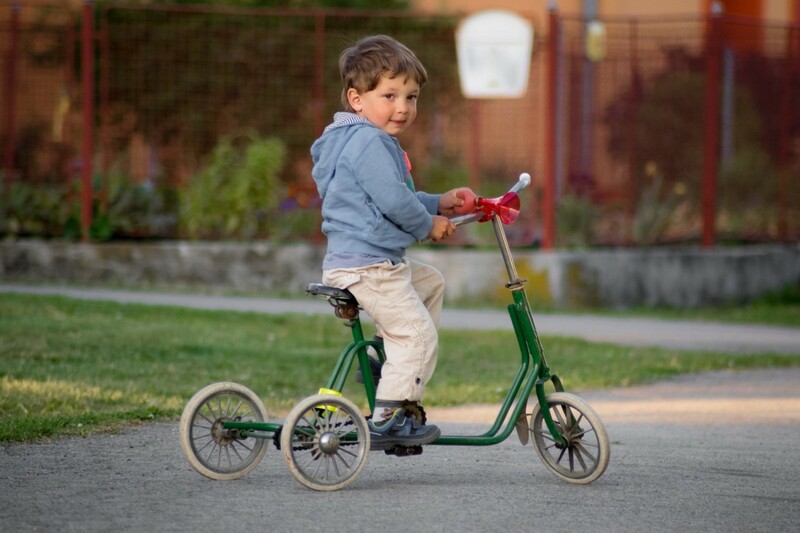 A recent German study concluded that bike trailers were a particularly safe way of carrying children- although, being German, they also recommended a few improvements to present models! The Wike bike trailers site shows they are selling a support cushion just for that problem. To me, if you cut foam for the backrest, only to go as high as where the bottom of the helmet starts, them this would give overlap space for helmut to sit. Check out the Booyah Stroller/Trailer. They have holes in the head rest to accommodate the helmets. I think you should try helmets in a store before you buy if you think it might be an issue. Some hairstyles will suffer, whatever you buy, unfortunately! I just received the InStep Sierra Trailer as a gift. I can't wait to use it with my girls. We have helmets for them, but when we put them in the trailer, the seat pushes their heads forward so that the helmet becomes a hindrance. We decided to hold off on using it until we figure out what to do. I don't want to ride with them not wearing helmets, but I also don't want them to be uncomfortable. Any suggestions?